Bet you can’t watch this video without laughing. It’s Bad Lip Reading’s version of Mark Zuckerberg’s congressional hearing. And it’s hilarious! My favorite part is when Mark slurps his water and gets reprimanded. And when he refuses to buy a van is a close second. but no one’s laughing when you’re unable to get results from your Facebook marketing. getting results on Facebook isn’t hard. Here’s how most people handle their Facebook marketing. 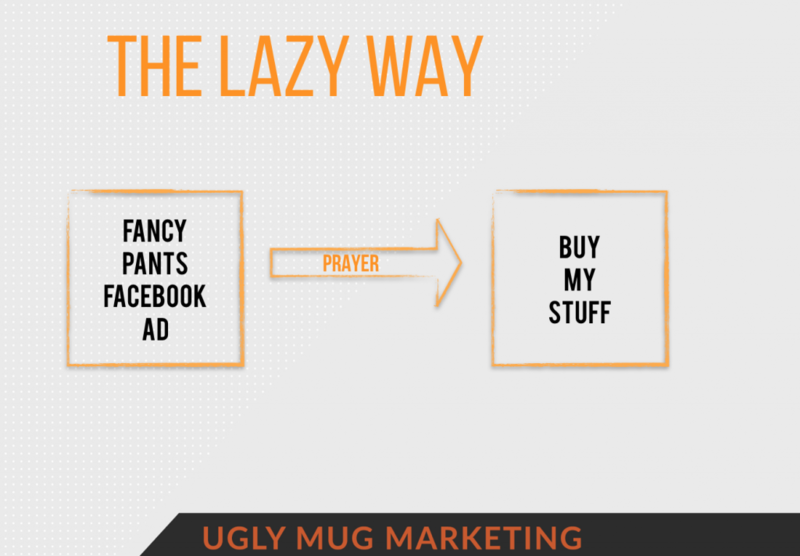 You set up that fancy pants Facebook ad, and then PRAY people buy your stuff. Here’s what smart Facebook marketers are doing. No, not the fancy sounding terms like retargeting or congruent content. NOT STRATEGIC, and honestly, just plain LAZY! You don’t need an advanced degree in marketing to know strategic campaigns outperform non-strategic campaigns. If I may, let me take it a step further. If you’re not getting results with your Facebook marketing, you simply aren’t using the right strategies. Can I tell you about a strategy that’s working like crazy right now? Sorry! The Boost Post button won’t work with this strategy. To run the Triple Threat you’ll need access to the dozen – or so – campaign objectives found in Ads Manager. 1) Make your post. Go to your Facebook page and make the post about the product or service you’re wanting to promote. 2) Set up Campaign #1 in Ads Manager. Choose your campaign objective, and set the audience you’d like to target for the post you made in step #1. 3) Set up Campaign #2 in Ads Manager. Choose your campaign objective, (make sure it’s a different campaign objective than you used in step #2) and set the audience you’d like to target for the post you made in step #1. 4) Set up Campaign #3 in Ads Manager. Choose your campaign objective, (make sure it’s a different campaign objective than you used in either step #2 or step #3) and set the audience you’d like to target for the post you made in step #1. If you came to me with your last $100 and asked what Facebook strategy you should use, I would tell you to run the Triple Threat strategy. 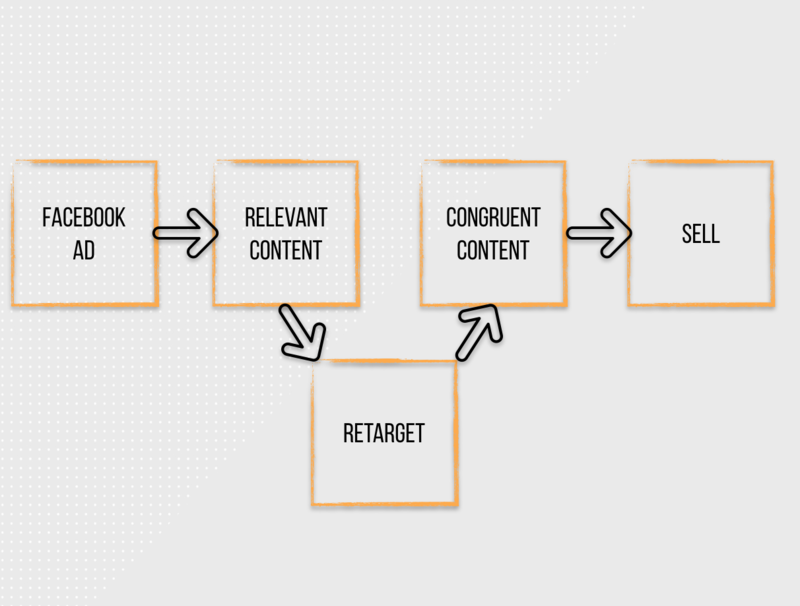 Each of the campaign objectives in Ads Manager is there as a result of Facebook users’ behaviors. When you run a campaign using the Video View campaign objective, Facebook is going to show your ad (which contains a video) to people who are more likely to watch a video. 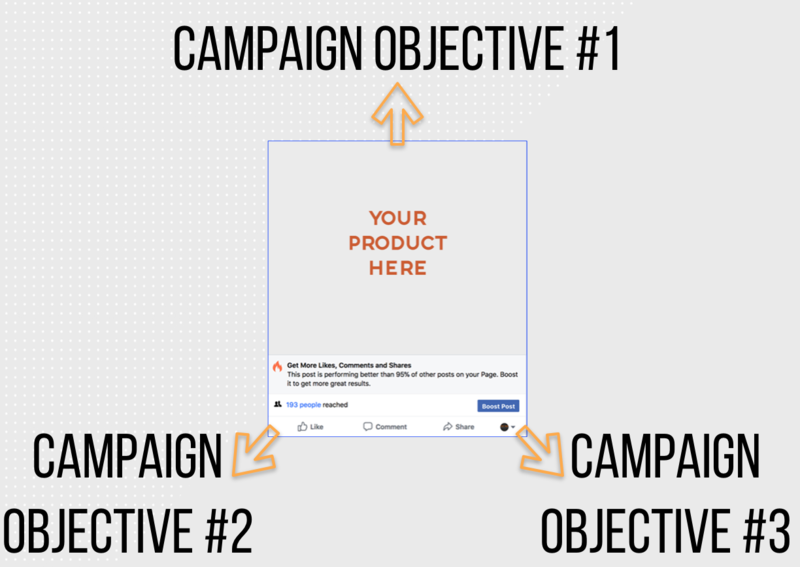 When you run a campaign using the Traffic campaign objective, Facebook is going to show your ad to people who are more likely to click on the link and visit your website. So by using the Triple Threat you are putting Facebook’s power to work for you, allowing them to help your ad reach the specific people who are more likely to take action. 1) We’re hosting a live webinar next Thursday (May 10th). During the webinar we’ll share the six most common mistakes people make with their Facebook marketing, and give you specific steps to ensure you aren’t making these mistakes. If you’re interested, you can register here. 2) If you’d like a more hands-on training, we’ll be hosting our last Facebook Master Class on Wednesday May 9th. This is a live, in-person, training. Only a few seats are still available. Learn more here. This will be the last Facebook Master Class we are hosting until some time in late 2018.